Bitcoin dumped from 7400$ to below 7000$ within one hour ! Will it bounce back ? We are back again with another quick update about the market in no time.As you all know Bitcoin dumped from 7400$ to under 7000$ in few hours only.Possibly the short traders on bitmex overwhelmed the long traders. 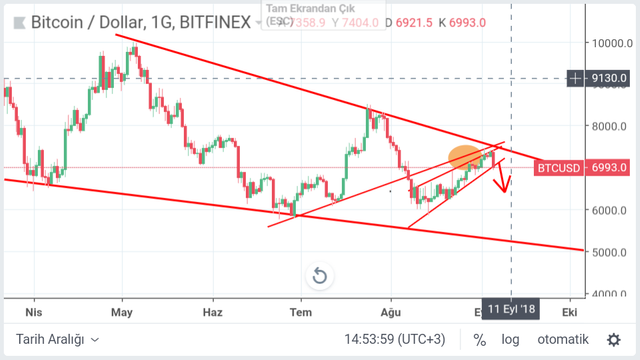 When everyone was predicting 7900$ to over 10,000$ price ranges for bitcoin very soon, bitcoin once again behaved opposite of the market scenario.The shorters overpowered the long traders.Btc was having strong support at 7100-7200$ but it broke and now trading even below 7000$. 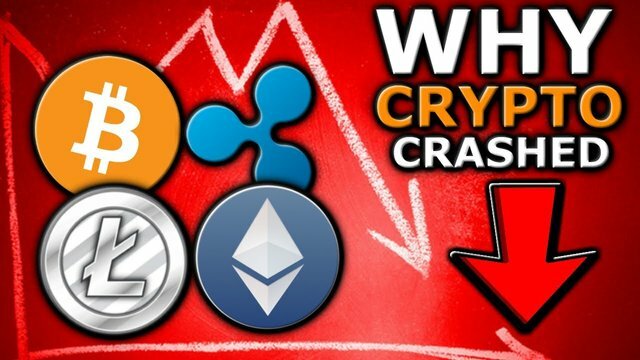 To add the adversity, Altcoins are bleeding badly in no time.The top gainers turned top losers on Coinmarketcap.Almost all coins are 5-20% in loss, if btc continues to behave instable there can be bloodbath in the market again. IS IT GOOD TO BUY ALTCOINS NOW ? Yes, like everyother dip it is always advisable to grab your favourite altcoins in dips.When the bitcoin gets stable they will move like anything.They too can dump more so it is also suggested to have them in parts.Tron is also a good buy near 330 satoshi from now due to some binance giveaway news coming. WILL BITCOIN BOUNCE BACK ? Now with just 400$ drop in btc price, the same question will be on everyone's mind will the bitcoin pump again.This is how we trade emotionally.Ups and downs are the part of the market movement, don't trade with emotions.Yes, it will increase for sure with many ETF's news coming this month and we are in last quarter of 2018. ETF decision is also pending for tomorrow, however the main ETF decision is on late September.Also, R.B.I decision hearing in S.C is pending for 11 september we are all hoping for a positive outcome this time.Nodoubt september month is crucial for bitcoin's future in India as well as internationally. Bitcoin again trading in the arket under 7000$ which is also showing hige selling pressure, the news in the market tat is a Bitcoin whale, possibly a darknet website that was shut down by the FBI or Mt. Gox.The cryptocurrency exchange that closed doors in 2011 after being victim to a hack attack.The exchange lost over $473 million in the event leading to a bankruptcy filing.However, a lawsuit by Mt. Gox creditors has placed the company in civil arbitration.Mt. Gox trustee has been preparing to compensate the creditors who intent to recieve Bitcoin cash and Bitcoin assets. Bitcoin has a great future indeed, these are normal corrections in the market from time to time.We are used to it now, but panic selling is the main cause of such dumps.Whales manipulate the market accordingly and make profits by playing with emotions of small traders.Market will recover sooner or later, no need to panic. See you in our next blog soon ! Don't forget to comment down your views below. @moneyguruu whats your predictions about price of BTC at the END of 2018 ???? I just sit and relax no need to take tension in the long term definitely you will get profit just put the desirable bid on your coins and surely you will get the profit most likely very soon. Just like Doge hit around sooner or later all coins will. Iam positive that btc will bounce back. Will it maintain the resistance level? Hope so you revert back to my question! Eg. selling at say 100 satoshi and buying back at 90 satoshi and repeating this cycle, without concentrating on what price I purchased, as I am in for long term. Hiiii Sumit Sir. My self Dharmendra Joshi and my ID is @dktrending341. I joined on Steemit inspired by you. I am a fan of yours and your YouTube videos. What decision are going to come on September 11 ??? Will BTC become legal in india? Of course it will bounce back, thanks for the video. Of course it will, we just need patience.